If you’re ever locked out of your house, or should you simply lose your keys, our professional Locksmiths in Hampshire will be there to help 24 hours a day, seven days a week. 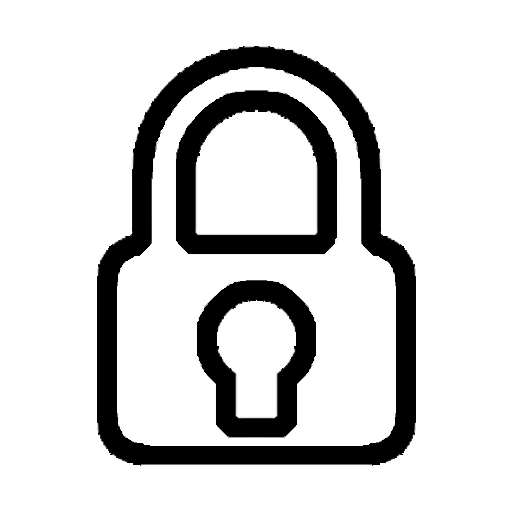 All our locks meet current British Standards and are insurance approved, giving you great peace of mind knowing of they provide lasting security & protection. Our fixed price promise means no hidden call out fees. We pride ourselves on our affordable rates for lock repair and replacements in Southampton and Hampshire. Here at Hampshire Locksmith we are proud of our reputation for quality workmanship, and have experience dealing with customers throughout Southampton and Hampshire. 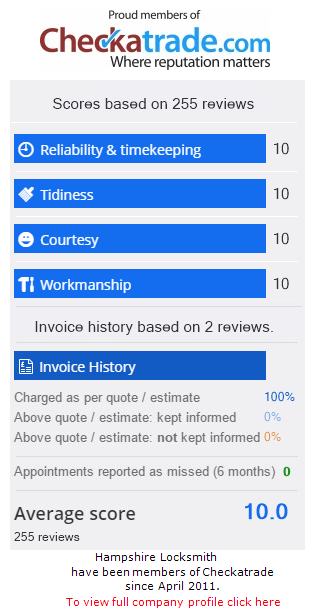 We are also a member of Checkatrade, whose website hosts several first-hand customer reviews about our services. Every member of Checktrade has been recommended, vetted and monitored to meet a high standard of trading. Therefore, when you choose to work with our team you can do so confidently, understanding that you are about to work with one of Hampshire’s best locksmiths. We’re proud to charge half as much as competing national companies for our services. We promise fixed rates and no hidden call out fees. That way you can benefit from nothing but quality services and products, at no extra cost. We have a number of different customisation options available depending on your property, needs and budget. Rest assured that you will always receive unbiased advice, and we take care to never over-sell. We’re happy to offer advice on the best options to protect your building. For example, perhaps you are a local Southampton business owner or landlord looking to bolster the security of your building. We would happily direct you to our wide variety of products and can offer our expertise in helping you to choose the right product for you should you wish. Our 24-hour locksmith services in Southampton means we are there for you all day, every day to help with emergency enquiries. Our call out service is there for you whatever your urgent requirement, whether you’re locked out of your home or replacements locks are needed. We take great care to respond to all requests as swiftly as possible. We aim to get as much information as we can during the initial call to ensure that we have everything that we need to complete the job when we arrive. We also aim to be with you within 20 minutes. Our vans are fully stocked with a comprehensive selection of cylinders and conventional locks, meaning that we can finish the majority of jobs in a single visit. Whether it’s for uPVC, composite, timber or aluminium doors, we’ve got you covered. If you need a locksmith in Southampton, then you want a reliable and qualified professional that offers a quality service. Our professional locksmiths have been checked and vetted to ensure our high standards are consistently maintained, ensuring customer satisfaction. All of the locks that we install are compliant with British Standards, so you can be sure that the products themselves are also durable and strong. With clear pricing, speedy response times and experienced professionals, you’ll be glad you chose Hampshire Locksmiths. Our work is also insurance approved as all the locks we install meet British Standards. Furthermore, we are proudly CRB checked. This ensures long-lasting security and protection for your building. Quickly restore the integrity of your property and with an insurance approved service. 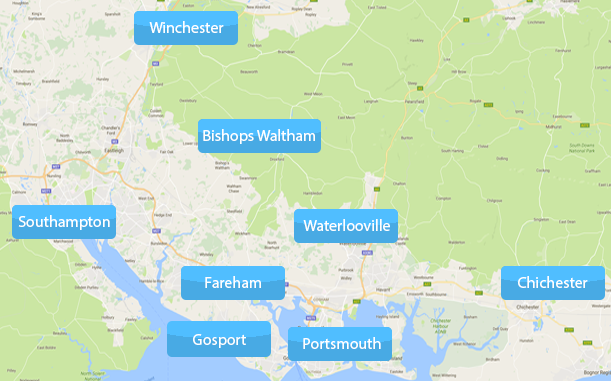 We have helped many landlords in Southampton. If you’re a landlord, then you have likely had to look for a trustworthy locksmith before. Whether it’s helping new tenants or providing an additional set of keys to newer ones, we offer a reliable locksmith service. We are also proud to support local companies and businesses with our commercial premises locksmiths services. No matter whether you have a warehouse, lock up or shop, we are available 24 hours a day as an emergency commercial locksmith in Southampton. Hampshire Locksmith provides expert lock repair and replacements services for both domestic and commercial clients. With a strong focus on customer service, quality products and value for money, we have become the first choice for Locksmith services in Southampton and Hampshire. Our fully certified Locksmiths can advise you on the best window locks, door locks and safe locks for any situation. Our qualified team stay up to date with safety regulations and technology to provide you with fast, reliable and professional lock repair.